I hear the word authentic daily in my work. Clients come to me with hope to become more authentic in their presentations, speeches and leadership roles. They want to be more authentic to be the best (fill in the blank). We want to be authentic because it drives connection, builds relationships and trust. It’s become the holy grail of leadership. And we work super hard at it. We write goals to be authentic, turning authenticity into a performance metric. When we turn authenticity into performance, we make authenticity inauthentic. You can’t be authentic and put on a show. It doesn’t work that way. The truth is, we aren’t always authentic. (Don’t believe me on this one? Check yourself the next time your significant other asks you if their jeans make them look fat). 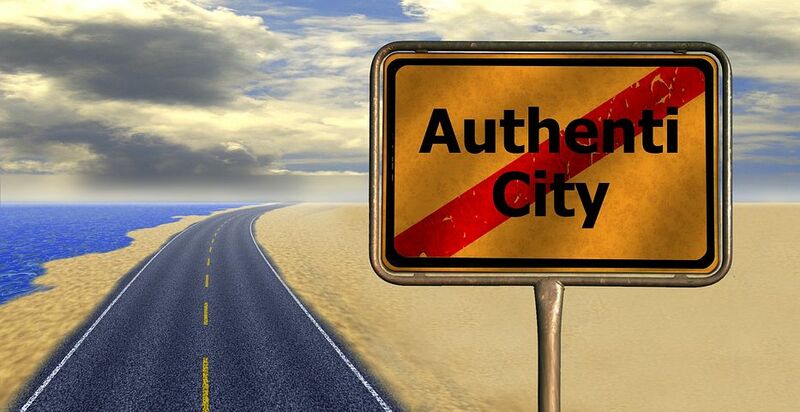 Do you want to know what else besides authenticity drives connection, builds relationship and trust? We don’t have to perform to be human. We can always answer the question “Did I show up as a human today?” with a yes. I don’t know about you, but I like being human, and we don’t get a choice in the matter. Being authentic is one of many human characteristics. Look, I’m not saying you need to stop working on becoming more genuine, trying to speak your mind, stop sharing your mistakes or whatever else you’re working on. I am saying those things will happen naturally (without performance) when we focus on being human. I quit striving to be authentic. I’m aiming to be the best human I can be. You’re a pretty great 💯 human!! Thanks, Lisa! I think the same of you! A Permanent Solution to a Temporary Problem How Do You Know Where to Start?